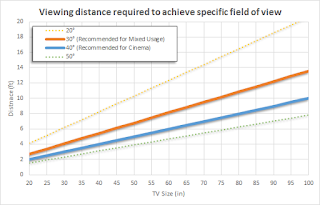 GETTING THE MOST OUT OF YOUR TV: OPTIMAL VIEWING DISTANCES AND ANGLES FOR YOUR TV! Few go to a movie theater to sit in the back row. Even though there's a large screen, the idea is to get as close as is possible in order to have an "immersive" experience. Because it's all about seeing only the screen and watching now what's playing on it. The same should be true with the TV that you have for watching at home -- regardless of its size. You should be able to be close enough to have your field of vision impacted so as to enjoy what's on without distractions. 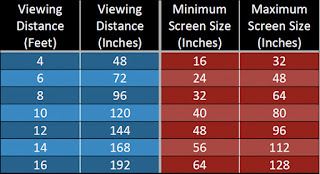 But while you can easily change rows in a movie theater, at home it's not as simple as just sitting as close as you can to the TV, because sitting at the proper distance will make the image look as good as you expect it to. 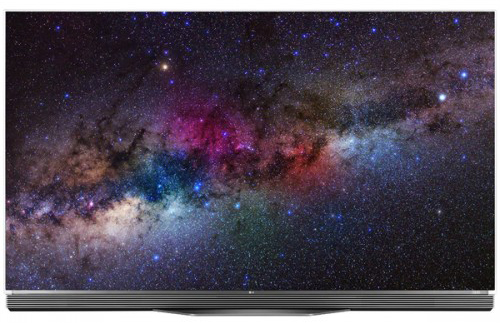 One basic consideration that must be taken into account first is the most obvious: get the largest TV that you can since the size can't be changed once it’s been taken home. 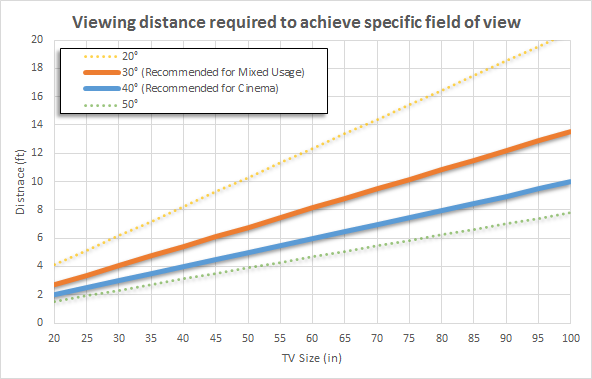 And making that TV a 4K HDR TV will make the “home theater experience” even closer to the "movie theater experience.” So here's some suggestions as to what to look for in order to find the optimal viewing distance and angle for your TV. Start by considering your field of vision (the entire area that you can see with the eyes fixed in one position) relative to the TV screen. 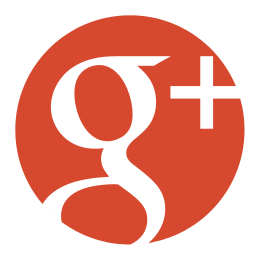 THX, the George Lucas company which developed the high-fidelity audio/video reproduction standards for movie theaters and others (and even more importantly, home theater), and the Society of Motion Picture and Television Engineers (SMPTE) offer recommendations about this; 40 degrees in the case of THX and 30 degrees in the case of SMPTE when it comes to how many degrees of your field of vision should be taken up when watching a 4K TV. 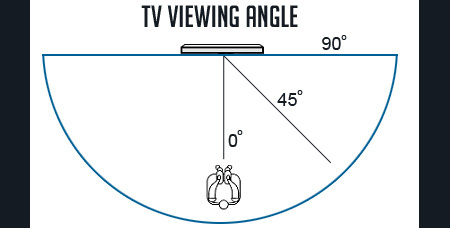 One way to do this is to multiply the seating distance by .6 to find a TV size close to the 30 degree viewing angle (using .84 instead will get you close to the 40 degree angle). 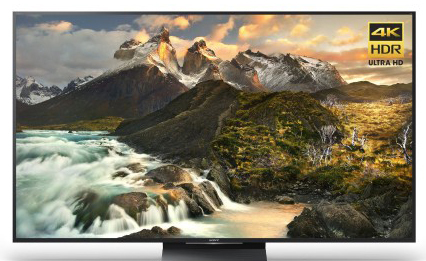 So for example, a 60” 4K HDR TV will have seating distance of about 5 - 7 feet 10 inches, or 7 feet - 11 feet for a 70” 4K HDR TV. One solution is that, rather than trying to adjust the TV to the chairs, couches, etc. 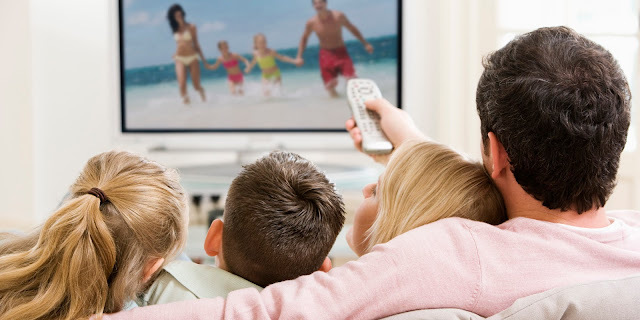 — adjust the position of the furniture that people will be using to watch the TV relative to the TV itself. The only other step needed is to first walk around the front of the TV, once it has been put into position in your living room, home theater, bedroom, etc. 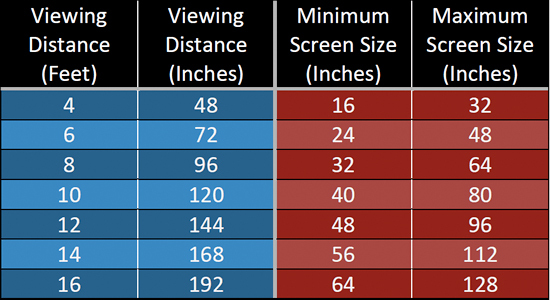 and see for yourself what viewing angles are good and what are bad. Then proceed accordingly. 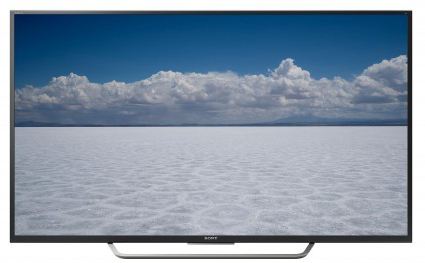 A large TV screen becomes your gateway to a world of entertainment and having 4K resolution means smaller pixels making up the image — and so you can sit closer without seeing those pixels for a more immersive viewing experience. 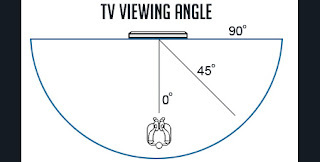 Finding the proper viewing distance and angle for your TV might take some time and effort, both of which can be obviated should you go with a professional installation service, such as Just One Touch. 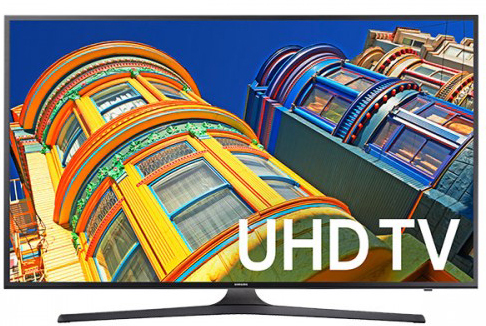 Regardless, it will be worth it because once your TV has been optimized to your viewing experience, you can just sit back and enjoy watching.